The USF Convention is the yearly event organized by the USF association (ASUG in the US: Americas’ SAP Users’ Group / AUSAPE in Spain: Asociacion de Usarios de SAP Espana) bringing together SAP users, SAP partners and SAP. This year, the event was organized in Lille from the 4th to the 5th with nearly 1 500 attendees focused on SAP. SEAL Systems with his partner FORMPIPE answered different questions related to SAP forms management, SAP Output Management, SAP DMS features and printers fleet management. “The 1st of January 2018, we have to send our invoices to public administration in a digital form through the new Chorus portal…..” (This request is related to the directive 2014/55/EU of the European Parliament for the electronic invoicing in public procurement). Full compatibility with the market printers: we are converting the data in accordance to the targeted device features. Forms management: the forms design and creation become easy and simple with the WYSIWYG interface. The data received from SAP are rearranged accordingly to the defined template. Modifications and business requirement are fulfilled in short delay with a minimum of efforts. SAP Business process optimization: SAP users require wants sometimes to combine the output of forms with documents for purchasing, production, maintenance, quality…activities. SEAL Systems developed seamless integrations for document collection and distribution. 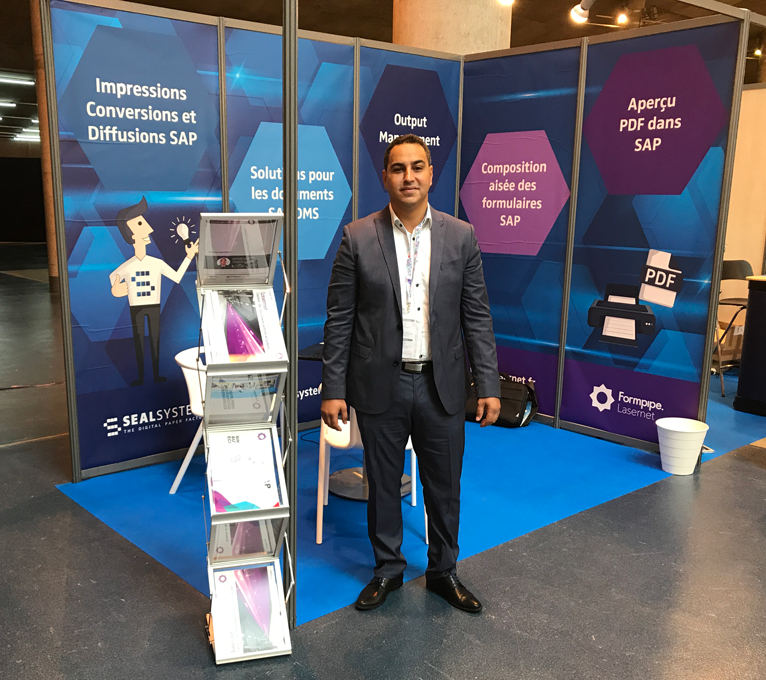 “This is my tenth participation to the SAP French Users group event and it’s always an opportunity to meet, to exchange and to learn.” Explains Said EL MORABITI – Sales Manager at SEAL Systems France. You also have questions or want to know more about our solutions, don’t hesitate to ask! 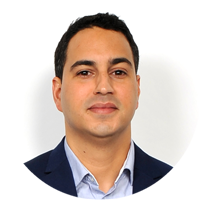 Saïd EL MORABITI has been promoting SEAL Systems solutions on the French market for about 10 years. He has been involved since the beginning with PDF/A Competence Center in France for many years and he is expert in archiving formats. He is now expert in Output Management and supports our customers in optimizing their printing management infrastructures. Saïd likes playing football indoor and to share time with his family.